Reposing in Connell's Funeral Home, Church Street, Longford on Thursday, August 2 from 5pm until 9pm. Funeral Mass on Friday, August 3 at 12 noon in St Mary's Church, Moydow, followed by burial in Carrickedmond Cemetery. Family flowers only please. House strictly private please at all times. Please Note! Parking for Connell's Funeral Home is now in Connolly Barracks, Please follow signs. 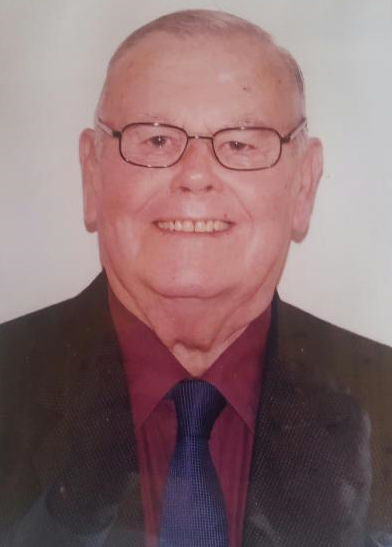 The death occurred on Sunday July 29, 2018 of Richard 'Richie' Grennan, Collogue, Edgeworthstown, Longford who died peacefully at his home. Deeply regretted by his niece Margaret and nephew Thomas, grandnephew John Reilly and grandniece Philomena Daly, great grandnephews John and Peter Daly, relatives and friends. Reposing at Our Lady's Manor from 12 noon with prayers at 1.30pm to arrive at St John's Church, Edgeworthstown for Funeral Service at 2pm on Wednesday, August 1. Burial afterwards in Aughafin Cemetery. The death occurred on Monday, July 30 of Mike Murray (B.Arch), Shannon Quay, Rooskey, Co Leitrim and formerly Sligo, after a short illness bravely borne with courage and dignity, at Sligo University Hospital. Deeply regretted and sadly missed by his heartbroken wife Mary, son Paul, daughters Lee-Anne and Jamie, relatives, work colleagues, neighbours and friends. Mike will repose at his home with removal on Thursday morning, August 2 to arrive at at St Mary's Church, Carrick-on-Shannon for Mass of Christian Burial at 12 noon with Funeral afterwards to St Mary's Cemetery, Carrick-on-Shannon. House Private. The death occurred on Monday, July 30 of Eddie Francis Blake, Greenaun, Eslin, Mohill, Co Leitrim, peacefully in the loving care of staff in St Patrick's Hospital, Carrick-on-Shannon after a short illness. Deeply regretted by his sister Vera, sister-in-law May, niece Catriona, nephews Caillin, Cathal, Dermot and Eamonn, grandnieces, grandnephews, family and friends. Rest in Peace. Reposing at St Patrick's Hospital Chapel, Carrick-on-Shannon on Wednesday, August 1 from 4pm to 6pm with removal to St Patrick's Church, Mohill to arrive at 7pm. Funeral Mass on Thursday morning August 2 at 11am followed by burial in adjoining cemetery. Family flowers only please. House private please. The death occurred on Tuesday, July 31 of Pat McGovern, Dromod and Aghakinnigh, Swanlinbar, Cavan/ Kinawley, Fermanagh and late of Sacred Heart Nursing Home, Clones, peacefully at Cavan General Hospital. Deeply regretted by his loving sister Mary Murray, brother Gerry, brother-in-law James Murray, nephews, nieces, relatives and friends. May he rest in peace. Remains reposing at Cavan General Hospital on Wednesday August 1 from 6pm until removal at 7pm to arrive at Saint Mary's Church, Swanlinbar at 8pm. Funeral Mass on Thursday, August 2 at 11am with burial in Killaduff Cemetery. Reposing at his residence, Ard na Greine, Clonageeragh on Thursday, August 2 from 3pm until 10pm. House private thereafter. Removal to St Feichin's Church, Fore on Friday, August 3 for 11am Funeral Mass and afterwards to adjoining cemetery. House strictly private on Friday morning. Family flowers only. Donations to St Feichin's National School, Fore. Nì bheith a leithèid arìs ann. The family would like to thank all the nursing staff for their continuous support and care throughout Séan's illness and especially to the Palliative Care Team. The death occurred on Sunday July 29, 2018 of Robert Dobson, Rooskeynamona, Mohill, Co Leitrim, at Sligo General Hospital. Very dearly loved son of Georgina and the late Desmond and much loved brother of Elaine and Desmond. He will be sadly missed by his nieces Amy, Ella and Maya, nephew Finlay, brother-in-law Miller, sister-in-law Coty, uncles, aunts, cousins, relatives, neighbours and friends. Removal to St Mary's Parish Church, Mohill on Wednesday, August 1 via Drumod and Rooskeynamona for Funeral Service at 2pm followed by burial in adjoining churchyard. Family flowers only please, donations in lieu, if so desired, to the charity Grow c/o William Foster, Funeral Director, Ricehill, Crossdoney, Cavan. The death occurred on Sunday July 29, 2018 of Mary Anne Mooney (nee Gibney), Leitrim, Dring, Co Longford, peacefully at her residence. Predeceased by her husband Tommie, Mary Anne is deeply regretted by her loving son Seamus, daughters Mary, Anna, Pauline, Brenda and Thelma, sister, Elizabeth Briody, Loch Gowna, daughter-in-law, sons-in-law, brother-in-law, sisters-in-law, grandchildren, great-grandchildren, nephews, nieces and a large circle of friends. Funeral Mass on Wednesday, August 1 at 11am in St Columba’s Church, Mullinalaghta with burial immediately afterwards in local cemetery.